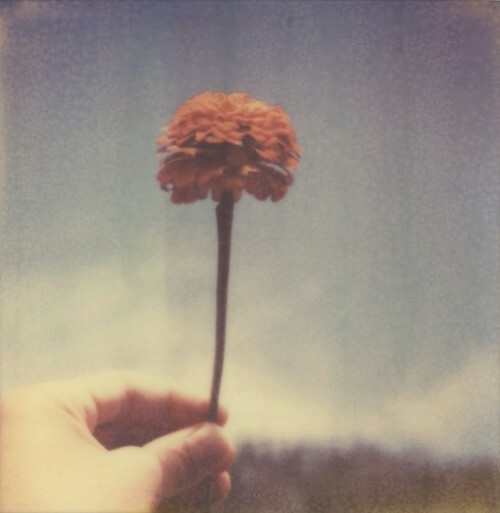 One of my favorite instant shots from this past summer. The afternoons are still quite warm here, but mornings and evenings feel like autumn and it's a lovely combination. I'd be happy if the weather stayed like this forever. I seem to dread winter more and more with each passing year. I think it's mostly because our house is so cold during the wintertime. If it was warm and cozy inside, I would perhaps be able to appreciate the cold beauty of winter. We just got back from a long road trip vacation out east. First we hit the beach in Isle of Palms, SC and spent some time with Will's family. Then we made a quick stop in Winston-Salem where we got to see many of our friends, have drinks at Single Brothers (the best bar ever!) and see some amazing music. Our last stop was Pittsburgh where we spent a week running around, catching up with friends, eating lots of good food and squeezing in a few hours of relaxation here and there. It was a blast and while I am happy to be home, I am already missing all of our good friends. I hope to write a bit more about the trip soon and start getting some photos posted. Right now I am still in the middle of catching up at home and figuring out what comes next for me. This photo is absolutely gorgeous and I think it embodies a lot of the joy of summer. PS. I can't wait to hear about your trip and see photos! yeah! This photo is perfect. So dreamlike, I love it! And now I am 41.